The US retail industry has had an interesting holiday season, marked by high expectations, volatility and distractions, and a reassuringly strong end. While it saw high sales growth - a 4 percent growth over last year, the best in some time - the results have not brought cheer all around. 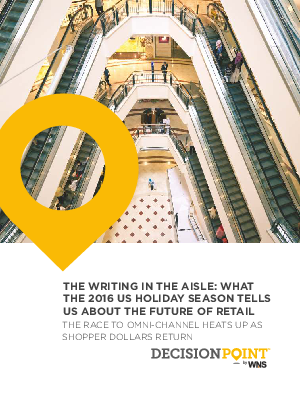 In many respects, the 2016 holiday sales data emphasizes the disruption patterns impacting the retail industry, and validates several predictions about the changing face of retail. Online and mobile sales continue to grow unabated, at 17 and 44 percent respectively, while in-store traffic saw the highest decline in two years. While none of this is surprising in itself, it helps to highlight the role omni-channel retail will play in the coming years.